Nitrogen binding occurs during part of the breakdown process of low-nitrogen organic matter. Imagine, if you will, all the teeny tiny creepy crawlies that live in your soil. These creepy crawlies feed on the low-nitrogen organic matter you’ve added to your garden. This is what causes the organic matter (be it leaves, wood mulch, newspaper) to break down. The creepy crawlies steal nitrogen from the soil as they do this, since they are not getting fresh nitrogen from the matter you’ve added. This is what binds up the nitrogen in the soil. What’s super cool is when they are done breaking down the matter you added to the soil, they die and release ridiculous amounts of nitrogen back into the soil. More than there was before. Nitrogen is the fuel that makes plants go. It’s used to synthesize amino acids, proteins, chlorophyll, nucleic acids, and enzymes. Plants need more nitrogen than any other element. It’s the nutrient we most often have to apply. The good news is that nitrogen is in plentiful supply in nature; it comprises 78 percent of the earth’s atmosphere. The bad news is plants cannot extract nitrogen from the air. In fact, whether in the air or in the soil, nitrogen cannot be absorbed by plants in its elemental form. 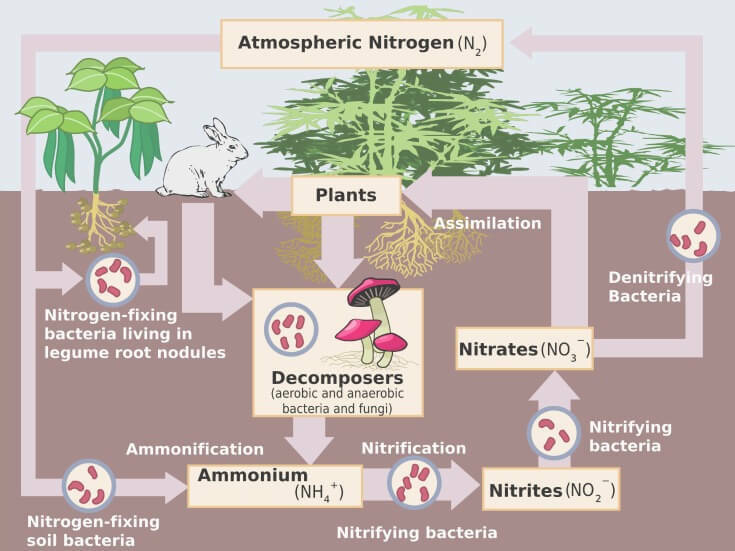 For nitrogen to be absorbed by plant roots, it must be converted, or “fixed,” into nitrates (NO3) or ammonium (NH4) ions. That transformation occurs naturally in the nitrogen cycle. Some nitrogen is fixed in lightening strikes and delivered via rainfall. But most is converted from organic matter in the soil with the aid of microorganisms, which transform the nitrogen to nitrates.This transformation can be a slow process. But the richer the soil, the higher it is in organic matter and microorganisms, and the faster the nitrogen is made available. Nitrogen binding occurs when low-nitrogen materials are incorporated into the soil. In Back to Eden, materials are never incorporated, they are merely layered on top of the soil. In the world of soil, these are two different worlds. If you recreated a Back to Eden garden in a glass, you would see all the different layers with clear lines. The original soil, the improved soil, the compost, and the wood chips. The microbes and microorganisms have different homes in the different layers. Sure, a few stragglers might climb to the upper layers to help breakdown the wood chips, but they aren’t all going to jump ship. The majority will stay in the soil layer where the plants are rooted. To make up for any nitrogen loss, we fertilize using standard organic fertilizers. Fish emulsion offers a quick nitrogen “boost” for your garden. The primary ingredient is the liquid from decayed fish and let me warn you, your neighbors will know when you’ve used it. If you provide them goodies from your garden, they might forgive the insult to their sense. I once inadvertently dumped a bottle on myself (an expensive oops) and I still smelled fishy after three showers. It’s not harmful, but I urge you to use caution during application or your friends may not want to spend time with you. Liquid seaweed doesn’t offer much of the nitrogen your soil may be needing, but it contains nutrients not found in other fertilizers. These are nutrients that increase yield and nutrient uptake of your plants. There are some studies currently underway that suggest liquid seaweed application ten days before harvest can increase the shelf life of your produce. I prefer liquid fertilizers, but kelp meal gives you a big bang for your buck when you apply it right where it’s needed (opposed to watering down the whole garden with a liquid fertilizer). Like liquid seaweed, kelp (which is a type of seaweed) doesn’t provide large amounts of nutrients and should be used in conjunction with a nitrogen-heavy fertilizer. I have to write something up about our compost tea setup. I’d love to take the credit for it, but my father made it for me. It’s a big food-grade bucket with a dowel through the top and a spigot out of the bottom. In a lingerie bag, put a scoop of compost (or even better, those seedy weeds you are too afraid to throw in the compost bin) and zip it up. Tie it to the dowel and drape it in the barrel. Fill the barrel with water and, every day or two, give the bag a little swish in the water. You can leave it in there as long as you want, but when you are ready, use the spigot to collect the water in a pail. The water now contains nutrients from the compost and weeds. You can find out more about organic garden amendments here. And of course, we always have human urine, which is the absolute best naturally occurring fertilizer for your garden. I’ve talked quite a bit about using the correct manures for the correct applications during the correct time of year, so I won’t get into that again. You can read it here. One word of caution when using manure in a Back to Eden Garden is that you want to make sure the manure has begun to break down before applying it. Although this is true in any garden scenario, it’s more so in BTE. Typically when you are applying manure, it’s being added to plants during transplant or at the end of the growing season. 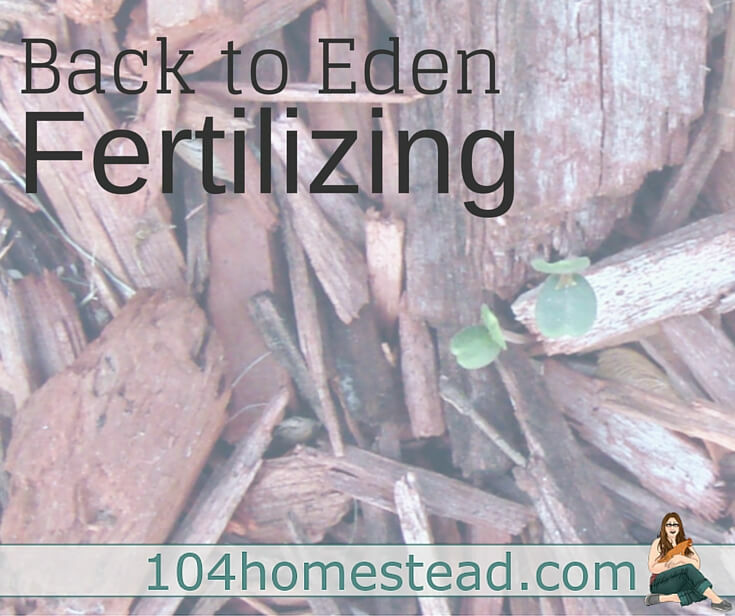 With Back to Eden, you apply manure throughout the growing season on top of the wood chips. When it rains, the nutrients from the manure trickles through the wood chips and amends the soil below. If your manure came from an animal that eats grass hay, the manure most likely contains weed seeds. 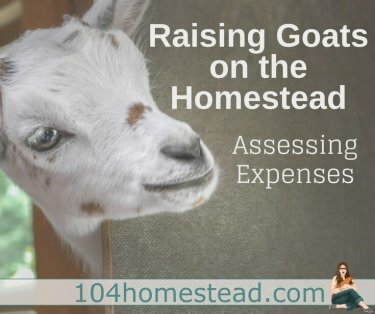 Improperly “cured” manure will turn your garden into a grassy field. Allow your manure pile to sit for 6 months to a year. If seeds start sprouting, cover the pile with a tarp or black plastic to prevent growth. 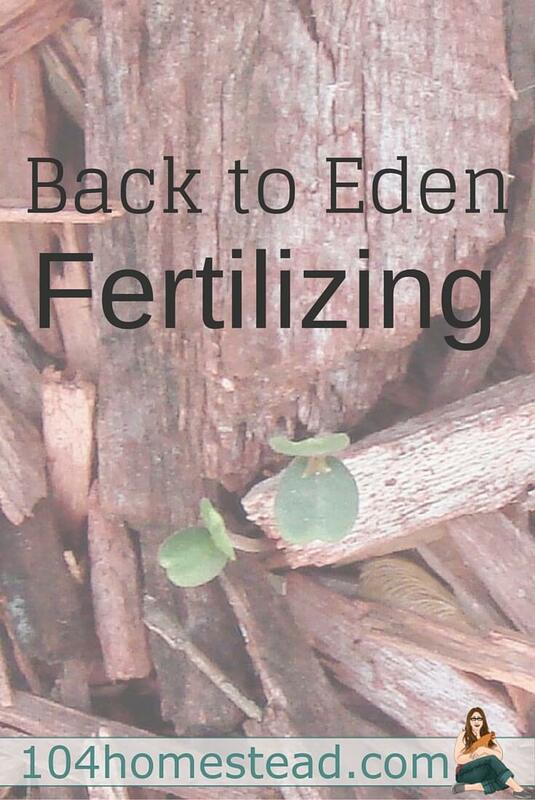 After it has broken down, it’s safe to use for fertilizing your Back to Eden garden. I have planted comfrey to use as a fertilizer, but I have seen where people just cut it green and lay it under a plant. I would think that would burn the plant. Have you used comfrey? you missed out a fantastic, all round, perfect for every plant, back to eden, organic, FREE fertiliser – urine! diluted at 1:5 (1 part urine to 5 parts water – weaker if applying to baby plants) It is the perfect fertiliser.